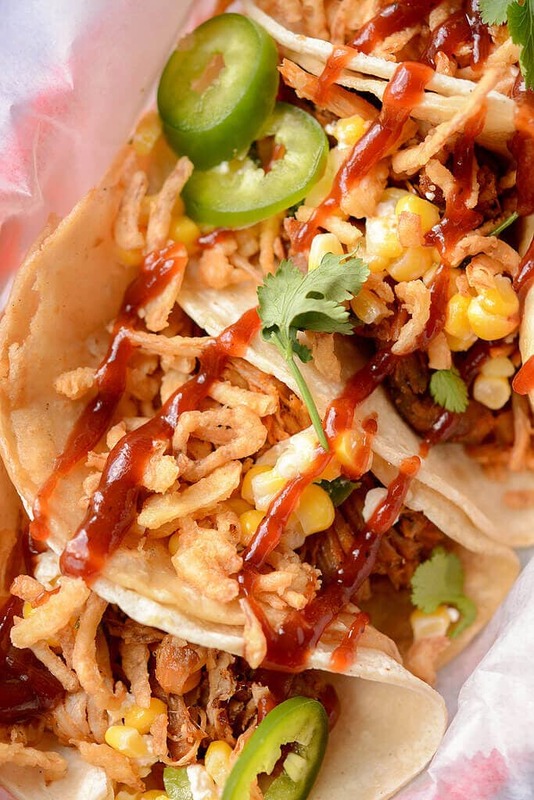 Whether it’s Taco Tuesday or any day, you need a change to your boring taco routine! 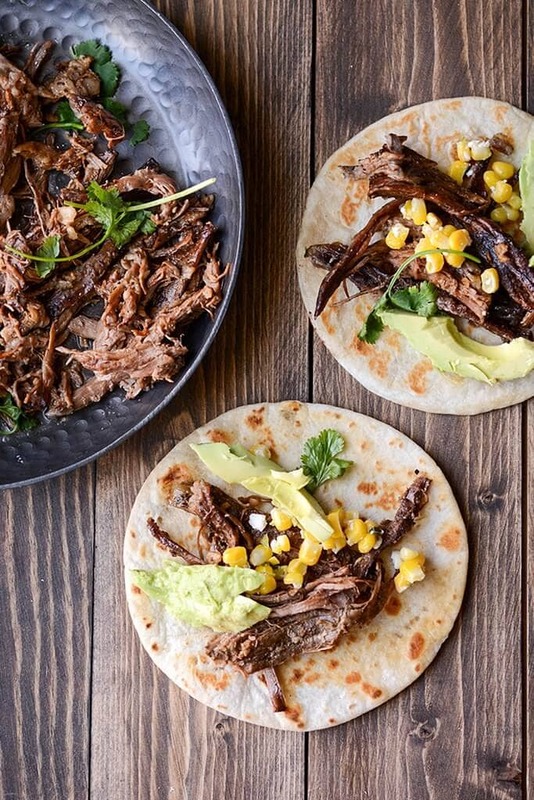 These Slow Cooker Pulled Pork Tacos will satisfy every craving. What do you do when you finally perfect the perfect pulled pork recipe? If you’re me then you try it in every possible dish you can think of! 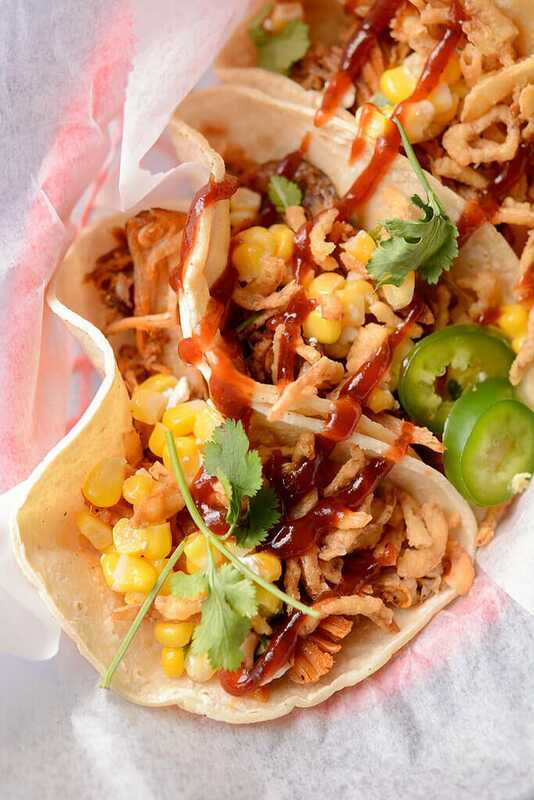 And in my opinion, there are few better ways to eat pulled pork than in a taco. 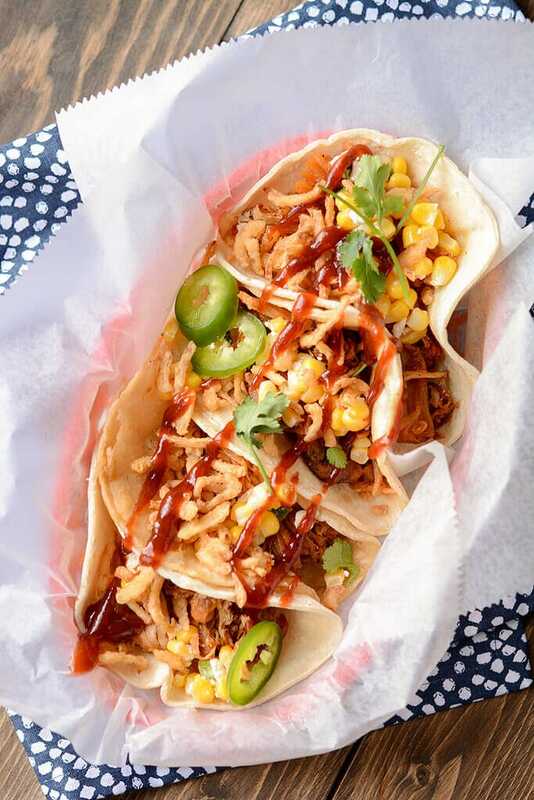 I may be biased, just because I have a taco addiction, but I think that any kind of pulled meat is just better in a taco. And for summer? You can’t beat this version. 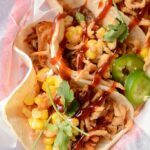 Perfect for feeding a crowd or for using up leftovers, pulled pork tacos will be your new favorite summer treat! This is just one of the recipes I made when my husband had work friends over for a celebration. We basically had a set up for tacos and nachos and this recipe fit in perfectly. Everybody just made it up their own way with the choice of toppings I offered and it made for a fun and simple dinner. I served it up with some of the simple corn salsa that was pretty much the same as what I made with these BBQ Chicken Tacos. 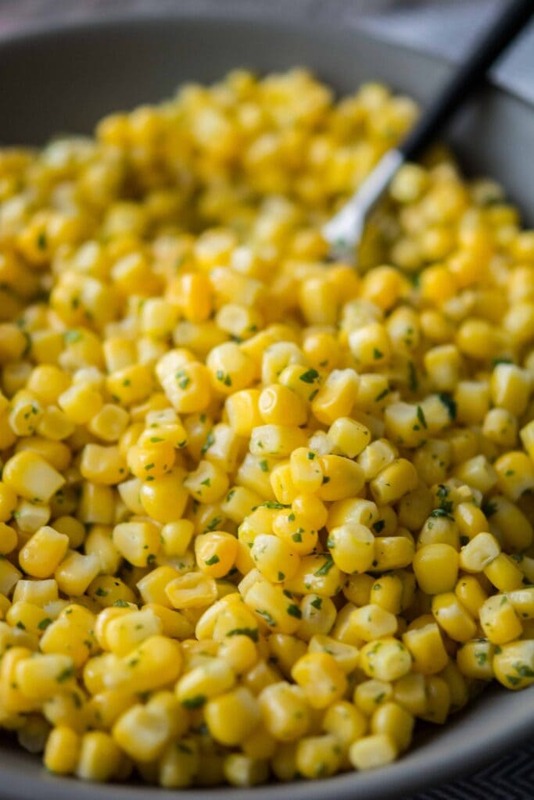 I love the sweet and crispy crunch of corn, and now that it’s summer, using up some of that leftover sweet corn would be a perfect option. You could add a little diced jalapeño or some tomatoes if that’s your thing. Awhile back I bought some fun little baskets to use when serving up tacos or other finger foods. They make it so easy because you just line them with a little deli paper and clean-up is easy. Whether it's Taco Tuesday or any day, you need a change to your boring taco routine! 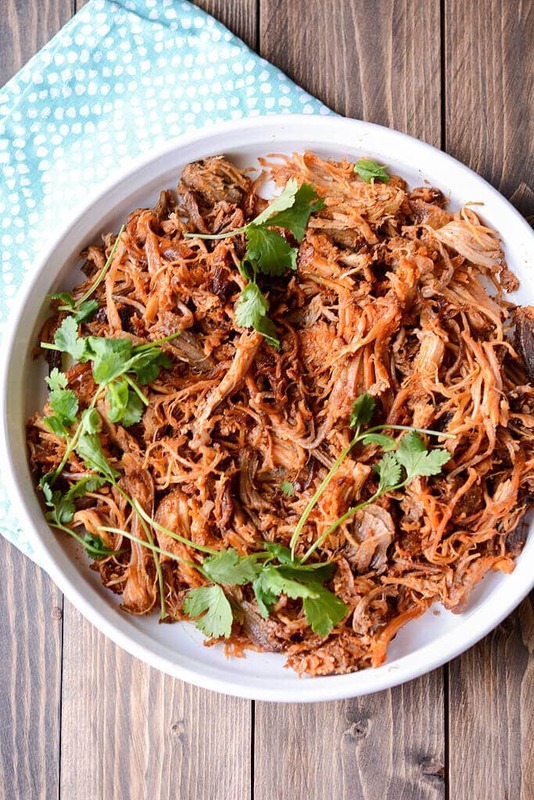 These Slow Cooker Pulled Pork Tacos will satisfy every craving. 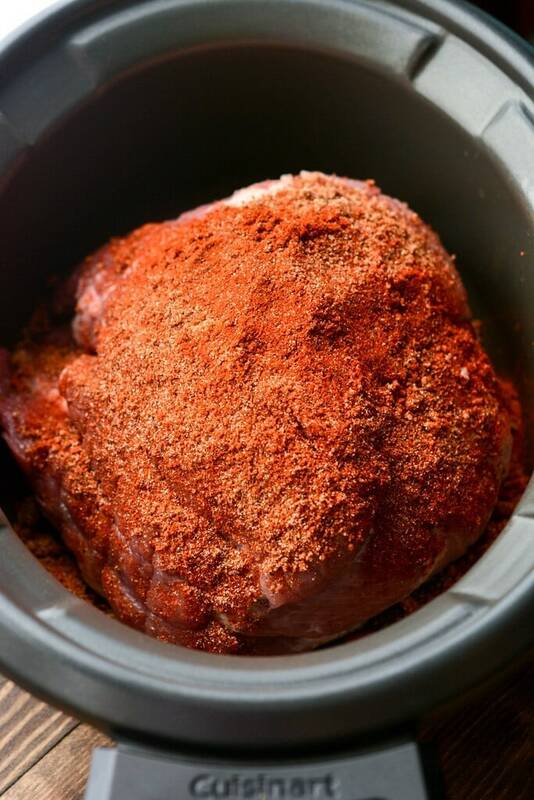 Want the perfect pulled pork recipe? Add some carne asada and make it a party!